I have been fixing up an 80 Coupe for the past couple of years. Its now ready for MOT but i cannot get the ABS light out. Now all brakes have been removed, renewed, subframe off etc so everything is new. I cannot remember if the light was on when i got it, as it didnt run. Ive had it on VCDS and the ABS controller cannot be communicated with. Ive checked the ABS ECU and and got a spare to try that but makes no difference. Only thing i can find is that the ABS ECU only gets a 6v feed - without a diagram im not sure if thats enough or if the only feed required? Switch off ignition for removal and installation. Not applicable as of model year 1993. 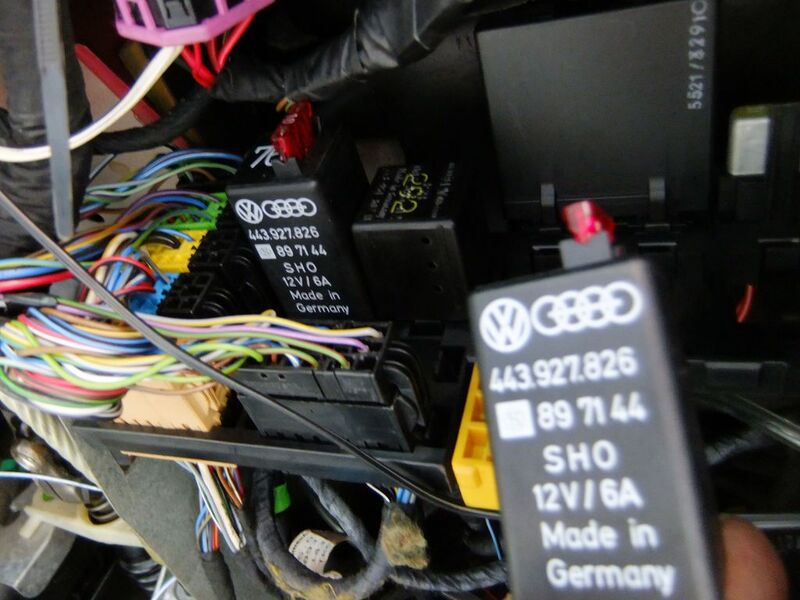 Prior to removal on vehicles as of model year 1993 interrogate fault memory with fault reader -V.A.G 1551-. For a 94 car, there is no relay. It's all contained in the ecu under the rear seat. If you start the car up, the ABS light should go off within 5 seconds. If it doesn't it's likely a pump / modulator fault since you've already swapped the ecu. Thanks guys. Nah light stays on. It’s not turned a wheel for over ten years so I do wonder if once it’s had a drive it’ll sort itself out. I’ll keep you posted. Thanks for the pdf. VCDS cannot read my ABS, is that normal? I had a 95 one years ago and I’m positive Vagcom could read abs on it?